Read more about The June 2018 IPPH Newsletter has been released! 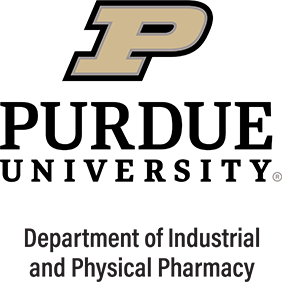 The purpose of this award is to recognize a Purdue College of Pharmacy faculty member in the first ten years of their career who has demonstrated outstanding scholarship. Dr. Elizabeth Topp is the recipient of the 2018 Chaney Faculty Scholar award. This award is the highest research award given to faculty by the Purdue College of Pharmacy. The award recognizes outstanding research, scholarship or creative activity including professional accomplishments in the recipient's field. Recipients are presented with a plaque and $2,500. The award was established through the generosity of Jeannie (BS 1961) and James B. Chaney. Dr. Stephen Byrn was selected as the 2018 recipient of the Morrill Award, the highest career achievement recognition for a faculty member at Purdue University. He is honored for his excellence and synergies as teacher, scholar and engaged professor over many years! Congratulations Dr. Byrn!